Will Howard Stern stay with SiriusXM in 2016? 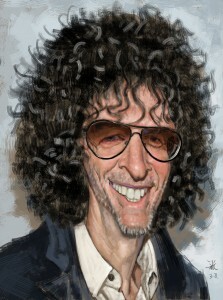 Howard Stern might or might not renew his successful contract with SiriusXM at the end of the year, but he apparently does have plenty of other opportunities to consider. In fact, Howard said on his radio show that a massive job offer recently fell into his lap. “My agent called me with an opportunity that is so mind-blowing, it would be the dream job of all time for me” Stern said. He didn’t divulge any specifics about the opportunity.